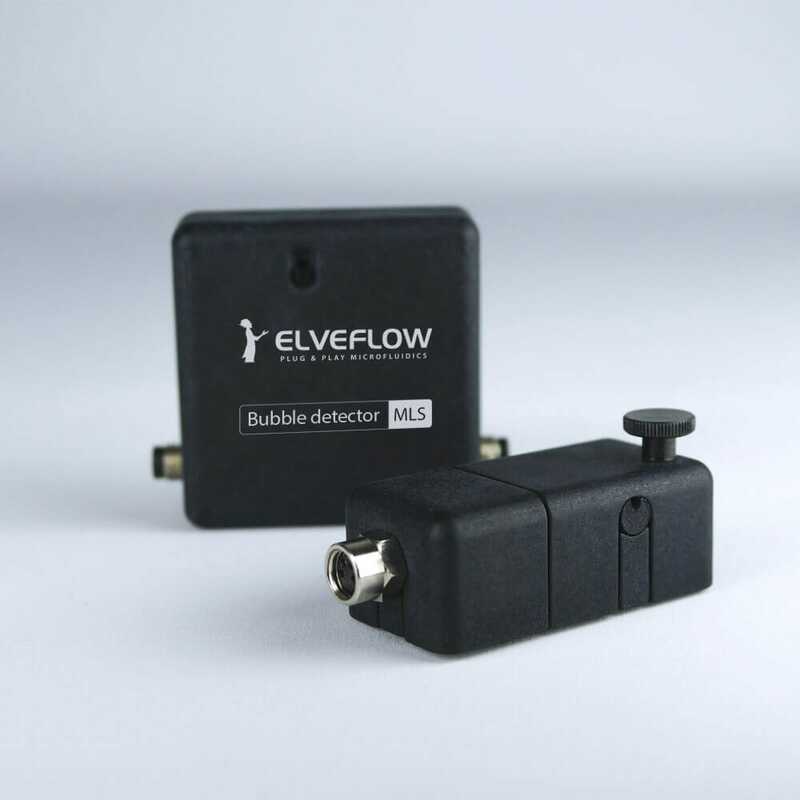 Elveflow>Microfluidics tutorials>Microfluidic reviews and tutorials>Fittings & Tubing Resources>Why and how to use a Microfluidic Bubble trap? Bubbles can cause experimental errors to sensors and chromatography columns mainly by letting components dry. Bubbles inside a biological reactor often increases shear stress, induces cytotoxicity, as cells membranes will stretch under the force of the liquid-air interface. Bubbles present inside a sample can also lead to pipetting and sampling errors. Therefore, if these are situations you would like to avoid, then you should consider using a microfluidic bubble trap, also known as a debubbler. The bubble trap we invite you to discover uses a micro-porous PTFE membrane. When a fluid containing gas bubbles flows through the trap, the bubbles are expelled through the hydrophobic membrane that allows absolutely no aqueous liquid to leak. 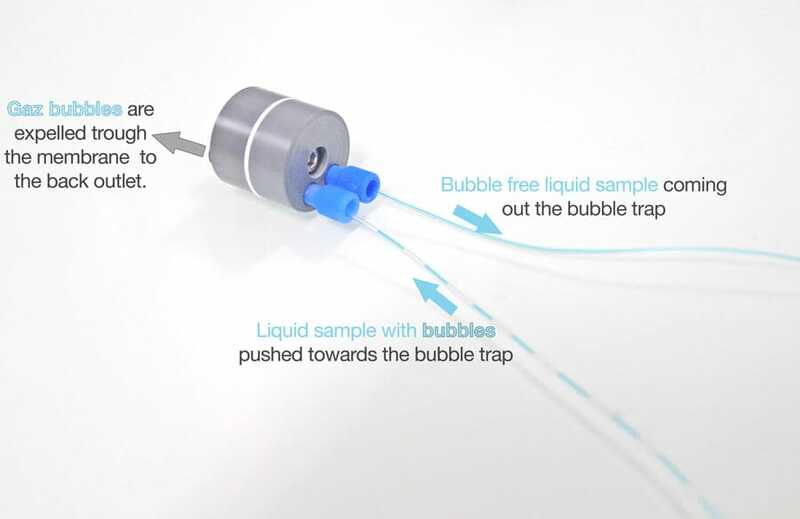 It is possible to get rid of bubbles inside a fluid even with a small pressure available, but same as not introducing bubbles into the fluid, the liquid sample has to be pushed towards the bubble trap inlet and not aspirated from the trap outlet (because you would generate bubbles this way). 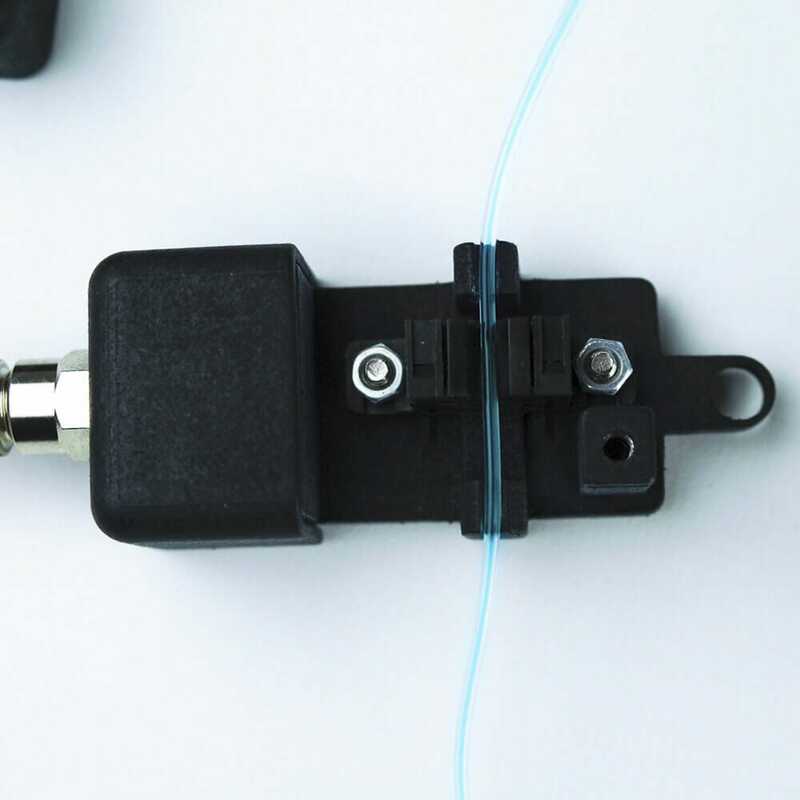 This trap can be used in line to remove the bubbles and secure any application where the presence of bubbles would negatively impact results or damage the sample. This bubble trap can be used in two modes: a passive mode, and an active mode where a vacuum line can be added. In this second mode, the vacuum outlet of a pressure generator, such as the OB1 Mk3, can be used to maximize the bubble trap’s efficiency. 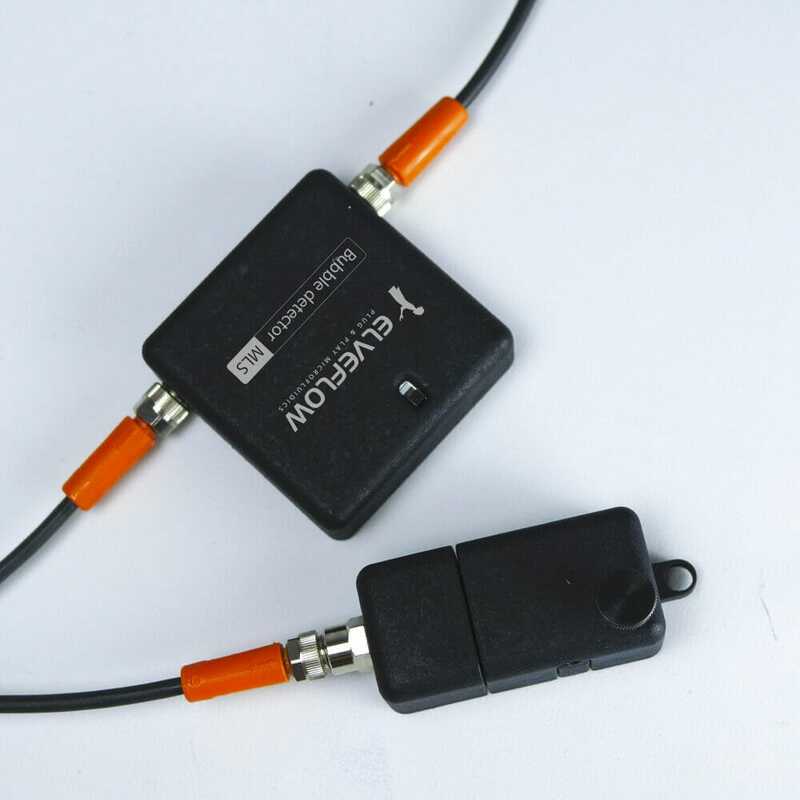 This bubble trap can be used with or without vacuum assistance, and a vacuum source such as the OB1 Mk3 can be connected to maximize the bubble trap’s efficiency. This trap is typically used in the range of 0.5 – 2.0 ml/min, but up to 60ml/min can be achieved when a vacuum line is used. The following video shows the in line bubble removing performed with the bubble trap in passive mode. This bubble trap is available from our Accessories eShop. 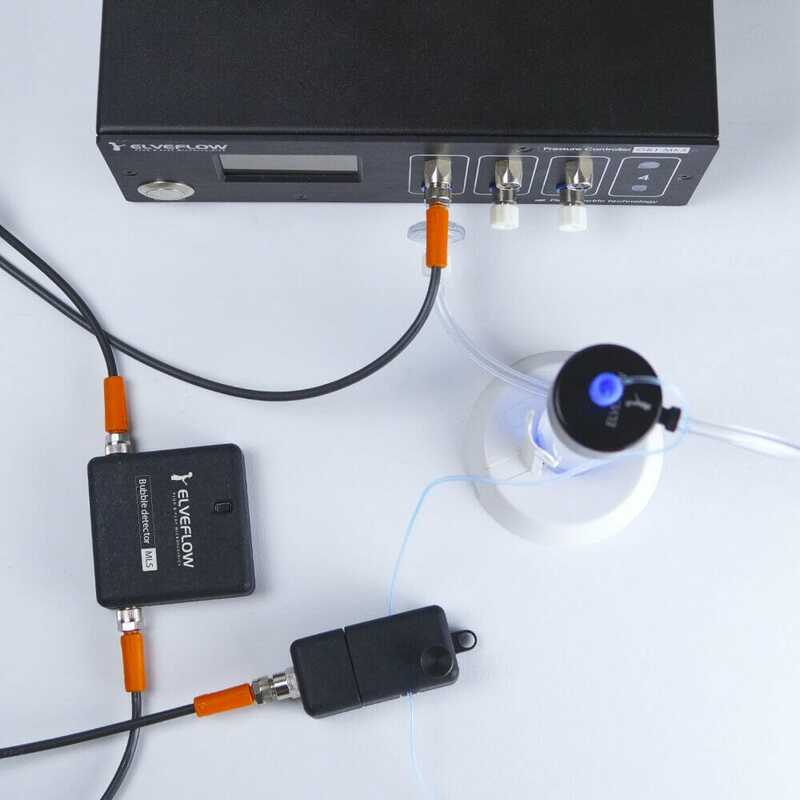 You can monitor the apparition of bubbles (change in the working fluid) at any given point of his setup and automate the experiment accordingly like switching valves to direct the bubble in another fluidic path for instance.